In stock -This product will ship today if ordered within the next 11 hours and 6 minutes. A staggering one in three adults in the UK receives less than the Reference Nutrient Intake (RNI) for this mineral. This is largely a result of refining processes which remove up to 90% of the available zinc content from cereal grains, along with the trend to eat less animal-derived protein. Zinc is essential for all protein synthesis in the body. Any extra physical or mental demands made on the body can increase the need for zinc or cause our bodies to lose extra zinc. One fifth of zinc in the body is found to be in skin and it is involved in tissue renewal. Indeed the health of the nervous, immune and reproductive systems are all influenced by zinc, as are the senses of taste and smell. Zinc Sulphate Hepta Hydrate, Purified Water. As a food supplement: Take one 5ml spoonful of Zincatest daily. You may wish to dilute this liquid in water or orange juice. As a taste test to indicate zinc status. As a taste test to indicate zinc status: Take the test at least one hour after food or drink. Simply add 5ml of Zincatest solution to 60ml of water and immediately swirl one 5ml spoonful of the diluted mixture around in the mouth for 10 seconds (this mixture can then be swallowed or spat out). Slightly dry, furry, mineral-like or even sweet taste develops after a few seconds: Marginally Low. Definite taste, which intensifies with time: Marginally Positive. Strong unpleasant taste noticed immediately: Positive. If response corresponds to 1 or 2 above, use a zinc supplement or Zincatest until response improves to 3 or 4. A 3-6 month course may be necessary. A fresh solution should be made up each time a test is required. 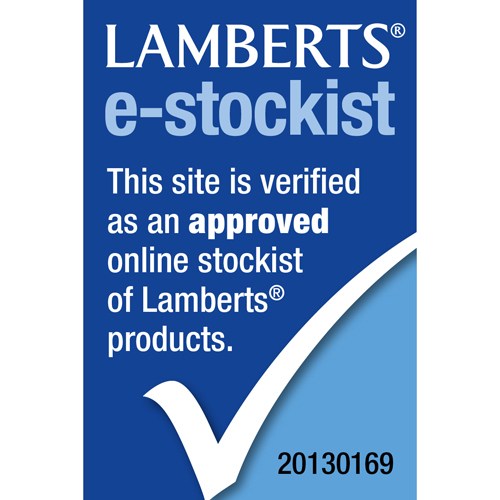 Below are reviews of LAMBERTS Zincatest (Zinc In Solution) - 100ml by bodykind customers. If you have tried this product we'd love to hear what you think so please leave a review. 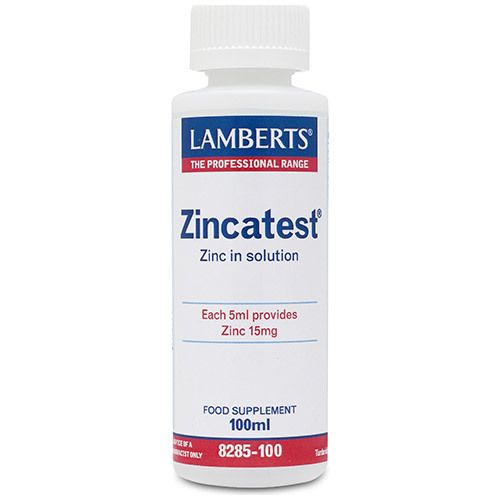 LAMBERTS Zincatest is a simple non-invasive test, which gives an indication of zinc status. 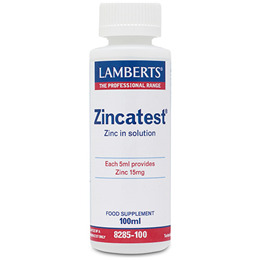 Zincatest can also be given as a zinc supplement. Ideal for those who find tablets and capsules difficult to swallow.